A few weeks ago, we reported that India’s largest telecom service, Airtel, is offering a free Airtel TV subscription to prepaid and postpaid customers until July 2018. Well, now the telecom operator is sweetening the deal further by providing free Amazon Prime subscription to its users. That said, unlike the previous offer which was valid for both prepaid and postpaid customers, the free Prime subscription is only valid for postpaid customers. The way Airtel is planning its content strategy, it seems that Airtel will be the first Indian telco to take a major share in the country’s increasing digital content space. Airtel has not yet made any official announcement but many users have reported receiving free Prime subscription notifications from Airtel. As per reports by The Mobile Indian, an Airtel postpaid users only needs to download and install the Airtel TV to avail the free subscription. Once they have logged in to the Airtel TV app, users will see a banner to join the Prime Videos. Users can click on the banner and then login with their Amazon account to get the free Prime subscription. 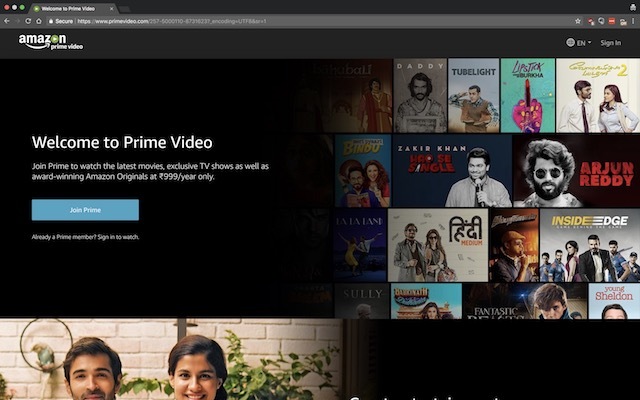 That said, one thing to note here is that the free Prime video subscription is only valid for those postpaid users who are using Airtel’s Infinity plans. The Airtel Infinity plans start at Rs 499/month and have two more tiers costing Rs 799 and 1199/moth. When it comes to Amazon Prime Videos, the subscription currently costs Rs. 999/year for users. However, that also includes free 1-day and 2-day delivery. As far as we can tell, Airtel postpaid customers won’t be able to enjoy fast Prime deliveries and will only get the free Prime Video subscription deal. I don’t think that this deal will be enough to convert anyone from their existing telecom provider to Airtel, that said, it’s a really good deal for those on the fence about Amazon Prime Video, and will surely keep Airtel’s already existing customers from porting over to rivals.